Photography sale to kick off my partnership with Alex’s Lemonade Stand Foundation. 30% discount on photos and keepsakes for the rest of February. Please head on over to www.paigeshaw.com and use the code ALSF upon checkout. Make a purchase and help cure childhood cancer at the same time. If you wish to donate and not make a buy there is also a donation tab on the front page of the website. Save the date. Stop by our Alex’s Lemonade Stand in Marion Square – Charleston, South Carolina – June 8th. Late morning until early evening. Let’s raise enough money to fund a month of research. The mission of Alex’s Lemonade Stand Foundation is to change the lives of children with cancer through funding impactful research, raising awareness, supporting families, and empowering everyone to help cure childhood cancer. This entry was posted in USA and tagged Alex's Lemonade Stand, Burros, Charleston, China, donation, Donkeys, Nevada, Photography, pineapple founatin, ravenel, Ravenel Bridge, South Carolina, Travel on February 27, 2019 by Bill and Paige. The simplicity of our lives while roaming the planet led us to the same conclusion – less is more. It’s not the easiest road but perhaps the most thoughtful. It was brilliant how the whole thing came about. Our commercial property had an abandoned studio home out back that we decided to remodel and use as a rental property. Red tagged on the first day of construction! The original home was built on the dirt – no foundation. The County allowed us to take the building down in order to build a proper slab foundation as long as we rebuilt using the exact same footprint, roofing material and as much siding as we could. Just as people fall in love with babies and puppy dogs we fell in love with a tiny home – promptly putting our primary residence on the market. We abandoned the rental concept and decided to make it our home. Meet Mona. She’s 20′ x 22′ – 440 sq.ft. of living space with a small storage loft. Tired of the upkeep required by perfectly engineered shiny Brazilian hardwood flooring we opted for unfinished concrete floors. All the warts of construction are permanently embedded – scuff marks, paint drips and cracks – perfection! We work where we sleep. It’s crazy but our pull down bed is a desk by day and bed by night. The pivoting motion of the bed allows us to lower the bed while the desk stays fully in place (plugs and all) – articulating to the floor. Carefully planned built-in cabinets house what remains of our earthly goods. We opted to purge. The kids got all the stuff we stored for them from their childhood – the remainder was donated, sold in a garage sale and a few antiques were sent to a house we have in the Palm Springs area. The only furniture that went to Mona were two old leather chairs , a mattress and an outdoor patio set. Bags and bags of clothing were passed on as well for we only have 41″ of closet space. So if you see us wearing the same clothes you’ll know why. We created an urban garden area out back to grow the square footage. In keeping with what Steve Jobs professed and the wisdom gained during construction of Mona, we decided to do the same in Charleston, SC. Withering from boredom in a suburban home where we found ourselves driving almost daily to the historic downtown area, we sold and bought a whopping 514 sq.ft. of luxury right in the heart of Charleston. Walking distance to everything. Completely remodeled and furnished. We moved in with two Asian rugs, a painting and half our clothing. Second garage sale of the year. We love the look on our friends face’s when they visit for the first time – trying to imagine themselves living tiny. We have everything we need, including a washer/dryer and kitchen, which is – much more than when wandering the globe. This entry was posted in USA and tagged Architecture, Build, Change, Charleston, Home, Living, Living Tiny, Northern Nevada, Remodel, Simplicity, Tiny Home, Travel on August 19, 2018 by Bill and Paige. Remember January and the bomb cyclone? Check out Springtime. It’s magical. The temperatures are mild and mother nature is singing. Walking has become our way of life since moving to the historic downtown area. We really got to know the neighborhood averaging 7 miles a day – four of those days include a two mile jaunt to yoga – all in preparation for our upcoming pilgrimage (stay tuned). Our pace is slow because there is so much to see. Come take a journey with us. Rainbow Row is like candy. and horses add to the charm. However, they are quite controversial right now – animal cruelty activists think it’s time to end this tradition. You decide. and the iconic Ravenel Bridge links Charleston to Mt. Pleasant and offers fabulous views from the 5 mile round trip walking path. Built in 2005 – it’s the 3rd longest cable-stayed bridge in the Western Hemisphere. However, it’s not all walking. We started the act of fishing on the Ashley River. It’s salt water – where the Ashley and Cooper Rivers meet to form the Charleston Harbor and flow into the Atlantic Ocean. We just walk across the street with gear in tow – it’s right out the door of our home. I say “act” because the fish have completely avoided our hook. It’s about the tide and bait. This entry was posted in USA and tagged Architecture, Charleston, Charm, Entries, Explore, Historic, Historic Downtown, Homes, Horses, South Carolina, Southern, Southern Living, Travel, Walking, Window Boxes on June 18, 2018 by Bill and Paige. Charleston is magical – especially on a warm Spring evening when the moon is starting to rise over the Cooper River. The Waterfront Park was opened in May 1980, just a few months after Hurricane Hugo. Once an area of gravel parking lots and overgrown weeds (per Wikipedia). Now a tranquil area to stroll, rest and take in the charm that Charleston has to offer. This entry was posted in USA and tagged Charleston, Cooper River, Explore, Night Photography, Photography, Pineapple Fountain, Travel, Waterfront Park, www.paigeshaw.com on May 12, 2017 by Bill and Paige. Happy New Year and it’s a new year indeed. Thanks again for indulging me with last year’s Photo of the Day. It gave me the opportunity to really practice my craft. 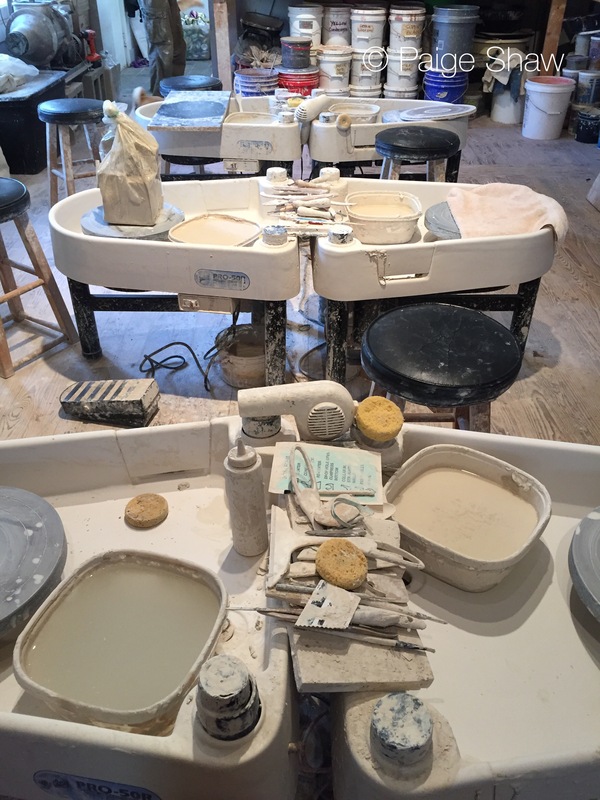 In the meantime, there are private lessons with the Michelangelo of pottery. A true master in his artistry. It’s just for fun – love the art of creating and getting my hands dirty. Meet my instructor Kris – owner of Fire and Earth Pottery here in Charleston. He makes mind blowing and mesmerizing videos of his work. 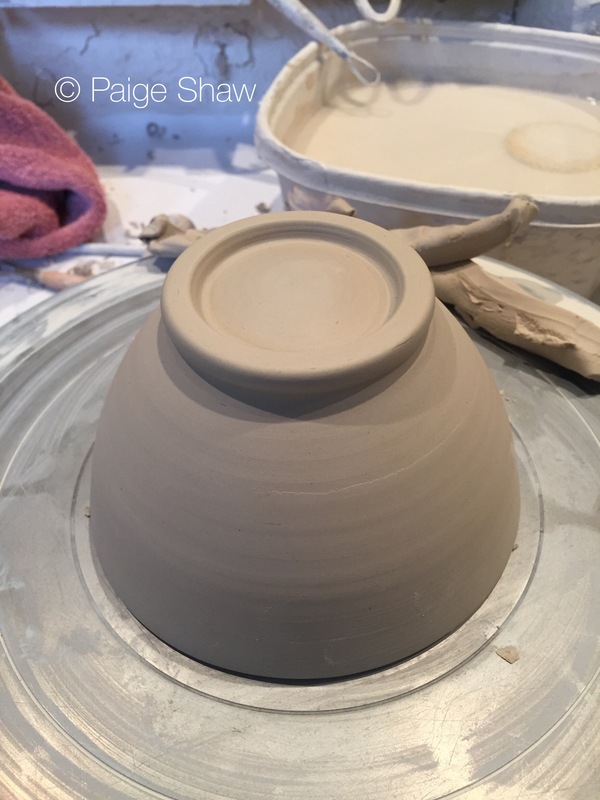 This entry was posted in USA and tagged Charleston, Creating, Photography, Pottery, Wheel on January 6, 2017 by Paige Shaw.